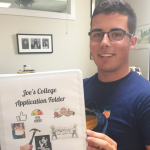 Wondering how to assist a rising high school junior with college applications? 1. Set up an excel file or binder to keep all of your data. Alternatively, Michelle Kretzschmar from diycollegerankings.com has created a handy worksheet here. The CommonApp.org also helps you get started with some clear directions for parents here. To do list with due dates. 2. Purchase a notebook to keep notes when you visit colleges. How do you answer a question like this? Taking notes and doing research is key. Connect your past with your future through this essay. What do you love learning about, participating in, and how does that affect your choices of study? What do you know about UM through reading websites, talking with students, faculty, alumni or college counselors? Be specific. Mention names, courses, dates, specific experiences, conversations. Help the reader visualize you fitting in and participating in classes and on campus. Upon a recent Yale visit, I conversed with a Yale senior in the admissions office about his experiences. He had only two complaints about the university: there were too many student protesters, and the university sands the roads instead of salting them in the winter. I love that Yale is a place where the students are motivated to change the world, and the faculty encourages them to act. Sanding saves the environment. What annoyed this Yale student impresses me. “Why Yale” is a strong essay because you learn so much about the writer, David Roosth, in a short space. We learn he attended Yale for a visit, remembered some exact comments he heard, from whom, and where he heard them. He created an image of himself on campus, paying attention. Then he turned a negative into a positive–“What annoyed this Yale student impresses me.” He seems like a person who pays close attention, is involved, and is positive. All qualities of a strong student. 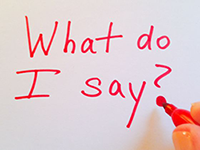 Read more about college planning here, including the common application essay questions. 3. Make some plans on the calendar. 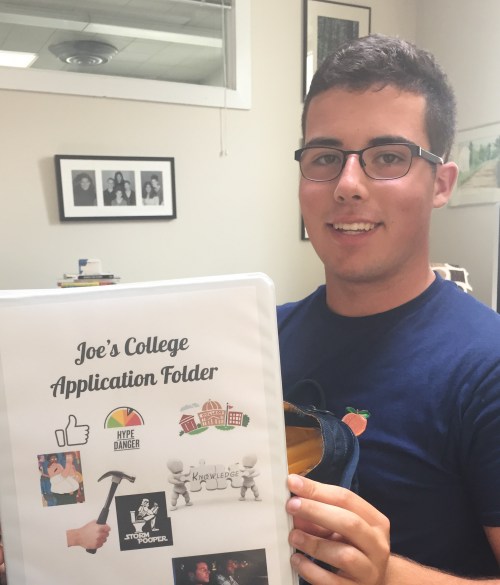 Now is a great time for rising high school juniors to start their college application essay. We recommend approximately five weeks to create at least one polished college application essay. This allows time for thinking, starting over, big edits, getting stuck, getting unstuck, and polishing the essay. Most students get started with the common application essay and then after a week or two, start additional college specific essays. Learn more about how to schedule a one-on-one Essay Coaching appointment here, and read more about low cost and free upcoming Essay Coaching events here. Try these quizzes for tips on choosing a topic and knowing when your essay is ready to submit.